Garrett Akins of Pocahontas has accepted the 2018-2019 Dr. Roger Johnson Agriculture Scholarship. Atkins is a 2017 graduate of Pocahontas High School. 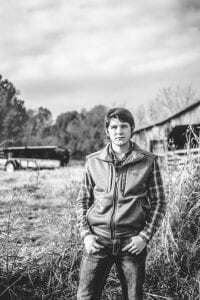 He is the son of David and Heather Atkins and is seeking an Associates of Science in Agriculture and plans for a career in soil conservation.